Valid only for U.S. shipping. 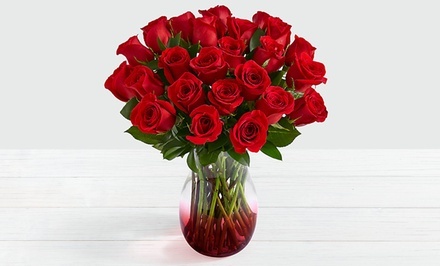 Valid online only for items on ProFlowers.com. Extra fee for shipping, tax, and service; voucher may be applied toward extra fees. Shipping fees start at $12.99. Minimum purchase of full offer value required prior to expiration. Upon expiration, unused voucher will be redeemable for the paid value. Cannot be combined with other promotions or discounts. See full terms and conditions. In the event of any conflict between the merchant or the third party's terms, including, without limitation, the Terms of Sale here or here, the terms set forth in this voucher shall control. Limit 2 per person, may buy 2 additional as gift(s). Valid only for option purchased.